Imagine you stroll around your favourite whisky shop and feeling adventurous. You decide to spend 150 Euros for a whisky which was distilled in a country which is just on your whisky map because someone somewhen mentioned it once. Since you also bought a new Laphroaig, which you were keen to try anyway, you opened up that bottle and left the exotic one somewhere in the depths of your whisky shelf. Three years later you find out that people are paying horrendous sums for whiskies like the one in your shelf, and the once exotic bottle is suddenly the most valuable item of your collection. This, or similar, is what we imagine happened to all of those people who bought one or more pieces of the Hanyu Playing Card series prior to the year of 2013. Hardly noticed back then, the explosion of the demand on japanese whisky saw this series rise into spheres where until then only some ultra illustrious representatives of the scotch whisky history flew. Just to make sure. We are not talking about some nice price increases which make you feel good or even have the potential to finance the one or the other bottle you always wanted to buy. We are talking about increases in value that could buy you a new car, a real-life sized one to drive in. If you opted for the whole series right from the start you can now sell it to buy a house, or two. So we guess this left some of those people mentioned above with the difficult decision of whether it is really worth it to open-up that exotic bottle in the back of their shelfes. There is one whisky for every card there is in a standard poker deck. In addition there is the Joker. For some of these cards there exist early editions. But in this article we shall only talk about the standard versions. In our whisky database we find price observations for 45 of these whiskies. In the following though, we leave out five of these bottles since we do not have a price observation from after April 2015 for them. The reason for this should be obvious. We are just not thinking that the Three of Clubs is really selling for 205 Euros nowadays like it did in January 2014. You can quote us on that. You might wonder which of the cards is the most expensive one. We will, of course, answer this question but want you to keep in mind that this answer is based on our database and on our database alone. By September 2016 the most expensive item of the Hanyu Poker Card series is the Hanyu 20yo (1985) Ace of Spades. We only have three price observations for this whisky. Two of which come from January and February 2015, so right after it was released, and were 4.655 and 7.210 Euros. The last one comes from January 2016. There the Ace of Spades sold for a staggering 11.400 Euros. One possible reason for this could be that there only came 122 bottles out of cask 9308. The most expensive Heart is the Hanyu 21yo (1991) Nine of Hearts. Prices for this whisky climbed from 325 Euros in October 2013 to 9.961 Euros in November 2015. The Hanyu 20yo (1988) Jack of Diamond and the Hanyu 23yo (1988) Eight of Clubs complete the list of the most expensive cards per color. There are three price observations for the Jack of Diamonds. The latest one coming from March 2016 with almost 3.900 Euros paid. For the Eight of Clubs we observed seven trades. The 3.116 Euros paid in January 2016 make it the 11th most expensive item of the Hanyu Poker Card series according to the Whiskystats database by September 2016. There is probably no real need for this analysis, but we will do it anyway. We want to find out which of the colors (Hearts, Spades, Diamonds or Clubs) experienced the highest price increase. So we want to determine the Royal Flush of the Hanyu Poker Cards. The obvious choice of weapon to do so is to summarize all prices of a particular color to one index, and compare those indices. So the Royal Flush of the Hanyu Poker Cards goes to Hearts. Prices of those cards climbed by almost 1300% since January 2011. On the places follow Spades, Diamonds and Clubs. So it is again Clubs on the last place. If there is a profound reason for this we don’t know. But nevertheless, all of these indices are beyond anything else we have seen so far. So the Hanyu Playing Card series is nice to have, but not so nice if you plan to buy the one or the other bottle. And if you want to go All-In and purchase the whole series at once, you should live a life where money is no issue at all. 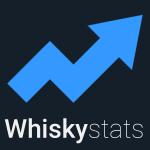 While on Whiskystats we do not track auction results for whole collections, we found out that the whole collection is selling for around 500.000 Euros (yes, half-a-million) at the moment. Well, at least if you find someone who has it and wants to sell it.